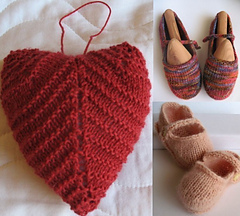 Introducing the Mama Janes, Baby Janes, and Heart Ornament Knitting PDF Pattern Collection! Wondering what to knit with that luxury yarn? The Jane Collection is your answer! Treat yourself with a pair of Mama Janes, and make an heirloom pair of Baby Janes for that new Baby! Learn How To Knit your own Heart Ornament from this simple knitting BONUS pattern! 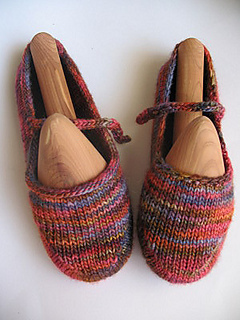 -How To Knit your own Mama Janes with one skein of Manos Silk Blend Luxury yarn. 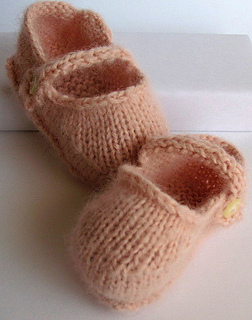 -How To Knit Baby Janes Booties with only one skein of Rowan Kid Classic Yarn. 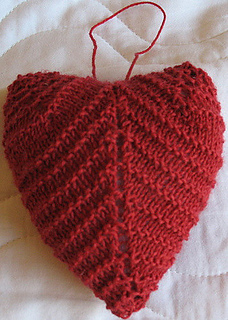 -How To Knit your own Heart Ornament from this easy pattern! Each Pattern requires less than one skein of your favorite yarn so indulge yourself today!